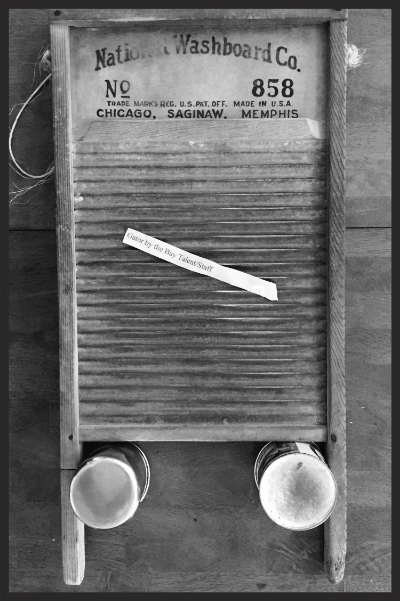 I had the pleasure of playing washboard on two occasions with G Burns Jug Band at this year's installment of the Gator by the Bay festival in San Diego (Thursday, May7 and Sunday, May 10). Gator by the Bay is an event sponsored partially by the Louisiana Office of Tourism, and features a wonderful mix of Louisiana and Southern California musicians, food, culture, and more. Considering my own biography (logging in several years in both Louisiana and California), I was thrilled to be a part of this festival for the first time this year. It warmed my heart to hear the words and music of musicians from Louisiana, and it was truly an honor to play the washboard with G Burns Jug Band in this setting. Whether I'm booked to play this festival next year or not, I will most certainly be back (that is unless I'm actually in Louisiana then), and in the meantime I will be busily and happily scratchin' and tappin' away with G Burns Jug Band.